Bone Density: Just a Women’s Issue? Spine doctors want bone density tested for all aging patients. Usually, when you hear that someone has osteoporosis or tested for low bone density, you think of grandma and her stooped shoulders. But spine doctors urge everyone, including older men, to get bone density tests. In fact, even children can be at risk for reduced bone density in many cases. As many as one-quarter of the men over 50 will suffer a broken bone due to osteoporosis. About 80,000 men break a hip in the U.S. every year. In 2015, approximately two million men in America have been diagnosed with osteoporosis. Another 20 million are at risk for the low bone density condition. Men are more at risk of dying after breaking a hip than women due to complications related to the injury. Spine doctors at the Southeastern Spine Institute can give you a simple, pain-free test to determine your bone density level. You don’t have to wait until you have a broken bone to find out if you’re one of the many Americans who have low bone density. The results of your test can determine how much risk you pose for breaking bones in the future. A bone density test is an X-ray procedure that takes 20 to 30 minutes. You just lie on a table and the machine passes over your body, recording the density in your body, with particular attention on your spine, neck and hips. A T-score of negative 1 (-1) and above means you have healthy bones. A T-score between negative 1 and negative 2.5 indicates the beginning of osteoporosis, called osteopenia. If your T-score is lower than negative 2.5, your doctor often diagnoses osteoporosis. Osteoporosis is not inevitable. 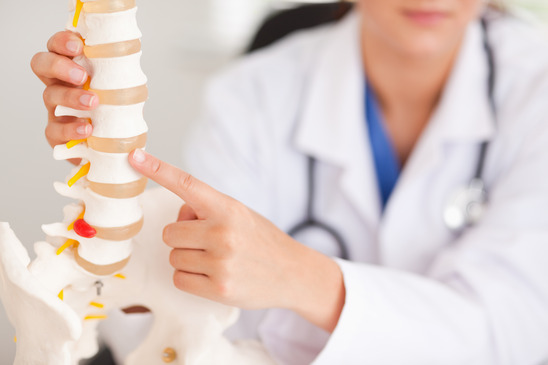 In addition to the lifestyle changes you can make to prevent the disease, there are drugs and therapies that your spine doctors can prescribe to reduce the severity. Sometimes, the drugs and therapies can even reverse the condition, if it’s caught early enough. If you believe you have reason to worry, ask your spine doctor at the Southeastern Spine Institute for a bone density test.